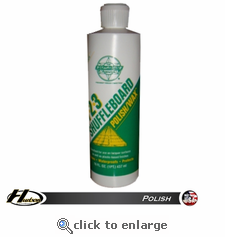 Easily restores a bright beautiful shine to your shuffleboard table, while polishing out most scratches, even on very worn finishes. 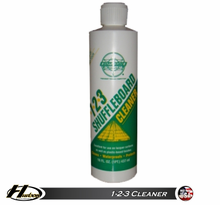 Prepare your board first with the 1𠂻 Shuffleboard Cleaner. Thirty minutes twice a month is all the time it takes to keep your shuffleboard table in top condition with the 1𠂻 Cleaner and 1𠂻 Polish/Wax. For best results, use the Super Slick Silicone Spray at least once a week.